Universal Orlando has unveiled a new dining plan! The new Universal Dining Plan is available to add to any vacation package with on-site hotel or off-site hotel, when you book through Kingdom Magic Vacations! The first seating for the new dining plan is July 1st, 2013! The cost of the Universal Dining Plan is $45.99 +tax for adults and $17.99 +tax for children (age 3-9), remember gratuities are not included. There is also a new Free dining package, available for our off-site hotels only, for bookings made Now – 8/29/13, and is valid for travel 8/15 – 11/24/13 and 12/2 – 12/19/13. This package includes 2 FREE days of the Universal Dining Plan when you stay 4-Nights or longer on this exclusive vacation package. The Universal Dining Plan is NOT AVAILABLE for purchase at the parks, so make sure add it on when you book your vacation package! When you purchase your vacation package and include the dining plan you’ll receive a ticket to be exchanged at Universal Orlando Resort for a Universal Dining Plan card. 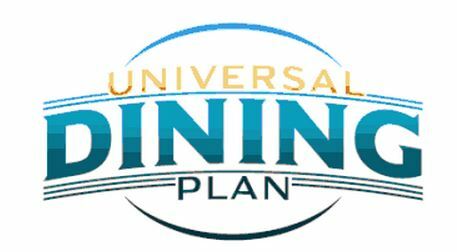 The Universal Dining Plan offers you the utmost in savings and convenience. Now when you book your Universal Orlando Resort vacation you can purchase your meals and snacks in advance! Make the most of your time and enjoy family meals together at some of Universal Orlando’s most popular dining establishments. To see the participating restaurant list CLICK HERE. Call us at 866.972.6244 or Request a Quote Online! This entry was posted in City Walk, Dining, Islands of Adventure, Orlando News, Universal Dining Plan, Universal Orlando Resort, Universal Studios Orlando and tagged adventure theme, center desk, dessert, food carts, frozen beverages, gratuities, hot dog, islands of adventure, july 1, non alcoholic beverage, resort vacation, site hotel, snack, snacks, theme park, Theme Parks, ticket center, universal orlando resort, universal studios, vacation package on June 11, 2013 by John Donahue. 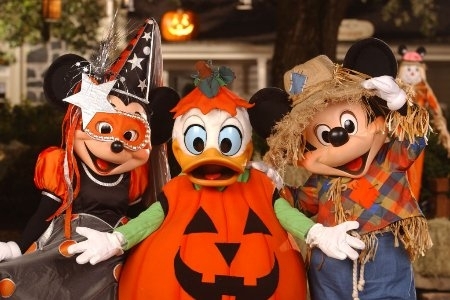 Mickey’s Not-So-Scary Halloween Party is a Halloween-themed special event held on select dates in Magic Kingdom theme park. Purchase of an additional event admission ticket is required to attend Mickey’s Not-So-Scary Halloween Party. During Mickey’s Not-So-Scary Halloween Party, Guests of all ages are encouraged to dress up in their favorite Halloween costumes. 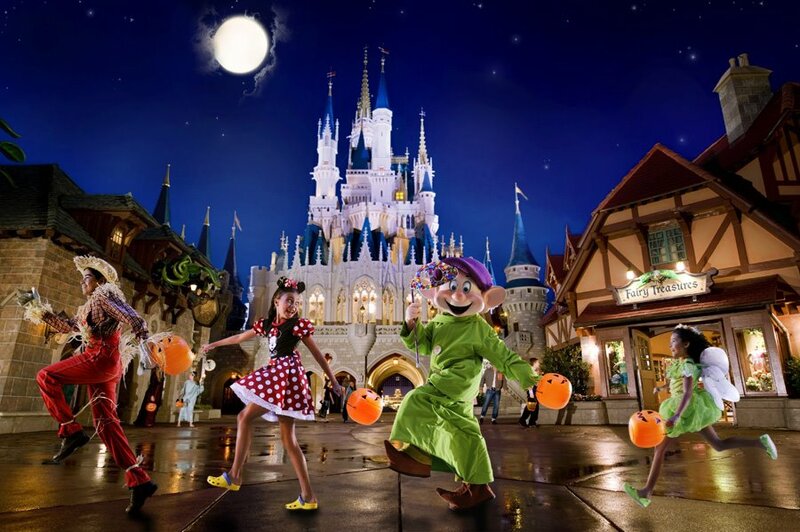 Even better, you can collect delicious candy as you trick-or-treat around Magic Kingdom theme park. What is your favorite Halloween memory from Walt Disney World? and Don’t Miss a Minute of the Not-So-Scary Fun! This entry was posted in Disney Entertainment, Disney Parks, Disney Special Events, Halloween, Holiday, Kids, Magic Kingdom, Walt Disney World and tagged admission ticket, delicious candy, Disney attractions, disney characters, disney villains, halloween costumes, halloween fun, halloween parade, halloween party, haunted mansion, headless horseman, magic kingdom, mickey, party guests, scary halloween, sky fireworks, special entertainment, spectacular fireworks, theme park, theming on May 1, 2013 by John Donahue. Now is the best time to be a Florida Resident! You can take advantage of this incredible offer from Walt Disney World and spend 4 days in all of the amazing Theme Parks of Walt Disney World Resort! Now Florida Residents can discover something new at the Walt Disney World resort this spring! Book any 3-night/4-day Package for as low as $56* per person, per day! This entry was posted in Disney Discounts, Disney Resorts, Disney Special Offer, Walt Disney World and tagged all star, best time, disney, disney ticket, disney world resort, florida resident, florida residents, important information, june 3, perper, spring book, star music resort, theme park, Theme Parks, walt disney, Walt Disney World, Walt Disney World Resort on March 19, 2013 by John Donahue. 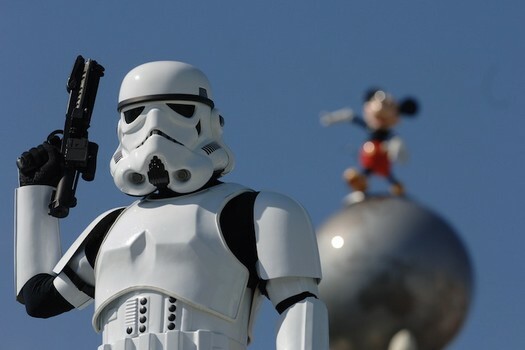 What’s your favorite part of Star Wars Weekend? This entry was posted in Disney Entertainment, Disney News, Disney Parks, Disney Special Events, Hollywood Studios, Star Wars Weekends, Walt Disney World and tagged centerpiece, disney world resort, edition merchandise, hollywood studios, limited edition, park admission, saturday and sunday, scenery, special additions, special star, Star Tours, star wars characters, star wars saga, Star Wars Weekends, talk show, theme park, training academy, walt disney, Walt Disney World, Walt Disney World Resort on February 8, 2013 by John Donahue. This theme park is all lit up for the Holiday Season and we are all ready to show it to you this year. Hope you enjoy today’s video, be sure to leave a comment and share it with your friends! This entry was posted in Disney Parks, Holiday, Hollywood Studios, Travel with Rick, Video, Walt Disney World and tagged 25 days of christmas, christmas, days of christmas, disney, Disney Christmas, disney christmas decorations, disney holiday season, Disney vacation, Disney's Hollywood Studios, holiday season, hollywood, hollywood studioes, hollywood studios, john donahue, rick howard, sarah donahue, sid, stars come out at night, theme park, travel with rick, Walt Disney World, wdw park hopperss on December 16, 2012 by John Donahue. This entry was posted in Holiday and tagged cinderella, facade, fireworks, Halloween, halloween celebration, halloween party, hallowishes, happy halloween, mickey, nbsp, photographer, pumpkins, pyrotechnics show, scary halloween, theme park, vacations on October 31, 2011 by Rick Howard. Universal Orlando Resort announced that special vacation packages will go on sale Sunday, July 31st that will give guests the opportunity to attend “A Celebration of the Harry Potter Films.” This special event will be hosted by Warner Bros. and will celebrate a decade of movie history by allowing fans to share their love for the Harry Potter films. The event will take place from Friday, November 11, to Sunday, November 13, at Universal’s Islands of Adventure, home to The Wizarding World of Harry Potter. More time to enjoy The Wizarding World of Harry Potter with Early Park Admission starting at 6 a.m. This entry was posted in Universal Orlando Resort and tagged A Celebration of the Harry Potter Films, amc, autograph signings, butterbeer, cast members, celebration events, cineplex, fellow fans, harry potter, harry potter and the deathly hallows, hogwarts, islands of adventure, july 31st, november 11, number of guests, ollivanders, orlando, park guests, spectacular evening, theme park, Universal, universal orlando resort, warner bros, wizarding world on July 28, 2011 by Rick Howard. Picture the morning sun rising in the Florida sky, illuminating a landscape rich with animals catching the first light of day. And you have a front-row seat. Disney’s Animal Kingdom Lodge invites Kilimanjaro Club Level guests to an amazing two-hour experience. During an approximately 45-minute safari, guests will have the opportunity to learn more about animal care, the grounds of the theme park and the operation. 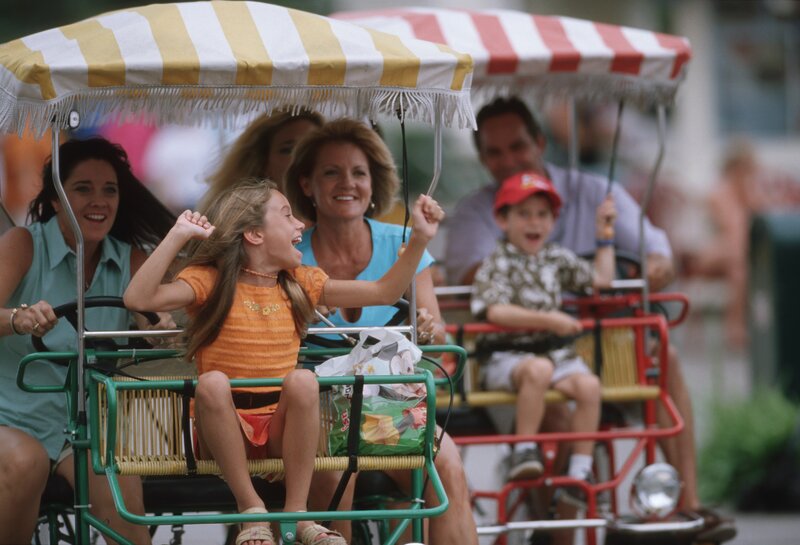 Included in the cost of the tour is a lavish breakfast buffet in the park, at the Pizzafari Restaurant. The Sunrise Safari is offered Sundays and Thursdays at 7:00 a.m. Cost is $65 adult, $32.50 child (ages 3-9). This entry was posted in Disney Resorts and tagged adult, animal care, Animal Kingdom, Animal Kingdom Lodge, animals, breakfast buffet, disney, Disney vacation, Disney’s Animal Kingdom, florida sky, front row, landscape, lavish breakfast, morning sun, orlando, safari, sunrise, Sunrise Safari, theme park, thursdays on July 26, 2011 by Rick Howard. MOVIE MAGIC & MOTORS — With the theme park’s iconic “Earffel Tower” standing tall in the background, a professional stunt driver takes flight on the set of “Lights, Motors, Action! Extreme Stunt Show” at Disney’s Hollywood Studios in Orlando. The new, 30-minute show features cars, motorcycles and high-powered watercraft piloted by highly trained stunt drivers. Later this summer the star of “Cars” and “Cars 2” will join the cast of high-octane characters. This entry was posted in Hollywood Studios and tagged cars, Cars 2, disney, Disney vacation, hollywood, hollywood studios, Lights Motors Action, magic, motorcycles, orlando, pixar, stunt driver, stunt drivers, stunt show, theme park on June 24, 2011 by Rick Howard. This entry was posted in Celebrity Sightings and tagged bender, disney world resort, first foundation, former nfl, gene duncan, kurt warner, lake buena vista, landon, magic kingdom, Mickey Mouse, nfl quarterback, super bowl, theme park, touchdown, walt disney, Walt Disney World, Walt Disney World Resort, warners, wife brenda, wish foundation on June 17, 2011 by Rick Howard. A Magic Kingdom favorite, “Enchanted Tiki Room,” is scheduled to reopen later this summer in a version reminiscent of the original show (called Tropical Serenade). The attraction has been entertaining guests since the theme park’s opening day October 1, 1971. Its winged hosts — Jose, Fritz, Pierre and Michael — led 200 other birds, tikis and flowers in an entertaining Polynesian revue. The Adventureland attraction was inspired by Walt Disney’s Enchanted Tiki Room, which opened at Disneyland Park in 1963. This entry was posted in Magic Kingdom and tagged birds, disney, Disneyland, disneyland park, enchanted tiki room, flowers, fritz, hosts, magic kingdom, opening day, polynesian revue, serenade, theme park, tikis, walt disney on June 6, 2011 by Rick Howard. This entry was posted in Celebrity Sightings and tagged Animal Kingdom, christina aguilera, competition series, disney world resort, early 1990s, lake buena vista, mickey mouse club, musical variety, musician, nbc, new mickey mouse club, photographer, singer christina aguilera, son max, theme park, variety series, vocal competition, walt disney, Walt Disney World, Walt Disney World Resort on April 13, 2011 by Rick Howard. Your family can beat the heat this summer by staying at select Walt Disney World® Resort hotels. 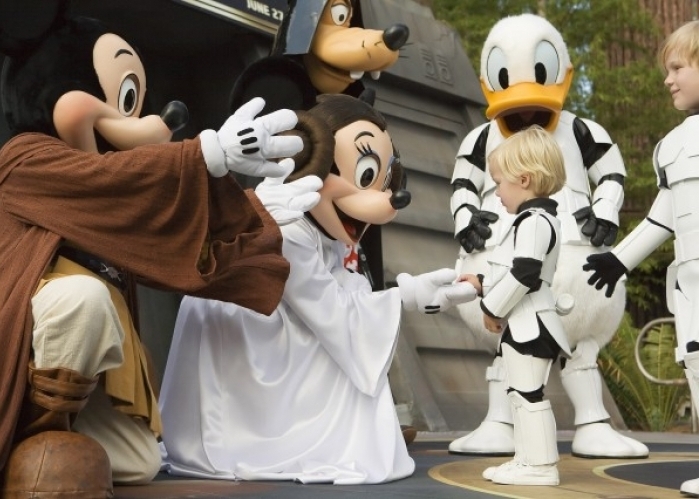 Save up to 30%* for stays most nights June 15 – Aug. 13, 2011, at select Disney Deluxe Resorts and Disney Deluxe Villa Resorts. Just add Theme Park tickets and you and your family can take advantage of all the summer fun. Book by May 28, 2011. Ask about rates for other resorts and rates for travel 4/22 – 4/30/11. Book by 4/30 for stays most nights 4/22 – 5/28/11. Book by 5/28 for stays most nights 5/29 – 6/14/11. This entry was posted in Disney Discounts and tagged Animal Kingdom Lodge, animal kingdom lodge disney, cool summer, deluxe resorts, deluxe villa, disney discounts, disney world resort, hot disney, Kingdom Magic, old key west resort, polynesian resort, summer fun, theme park, walt disney, Walt Disney World, Walt Disney World Resort, walt disney world resort hotels, weekday rates, wilderness lodge on April 2, 2011 by Rick Howard.